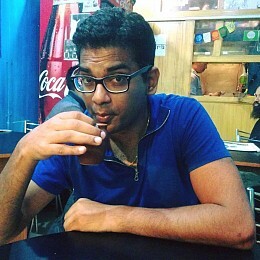 Suneer Chowdhary is a freelance cricket journalist with almost a decade of experience. He has worked with ​Cricket Australia's Cricket.com.au, FirstPost.com, ESPNCricinfo.com, CricketCountry.com among other cricket and sports websites. He began his journey with The Roar in 2011 as a freelance sub-editor before becoming one of the first live bloggers on the website. Currently, he also produces regular cricket podcasts & videos for WorldCricketChat.com & is a regular on Twitter @suneerchowdhary. 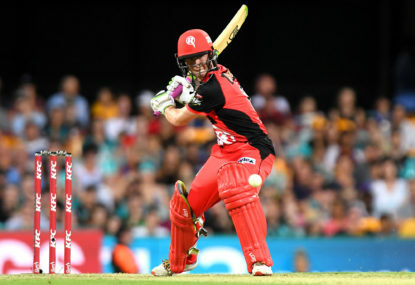 The second semi-final of the eighth season of the Big Bash League will be played on Friday, February 15, with the Melbourne Renegades taking on the Sydney Sixers at Docklands Stadium in Melbourne. The match starts at 7:40pm local time. You can follow it live with The Roar below. Australia will look to drill home the advantage they gained on day one when they resume their innings on the second day of the first Test against Sri Lanka at the Gabba in Brisbane. The day’s play begins at 2pm AEDT and you can follow it live with The Roar below. Australia will look to turn their Test cricket fortunes around when they take on a struggling Sri Lankan side in Brisbane for the first of two Tests. Follow all the action here on The Roar with our live scores and blog from 2pm (AEDT). The Sydney Sixers play host to the table-topping Hobart Hurricanes in the 40th game of the Big Bash League. This match will be played at the Sydney Cricket Ground and will begin at 7:15pm (AEDT). Join The Roar for live scores and coverage from 7:15pm (AEDT). 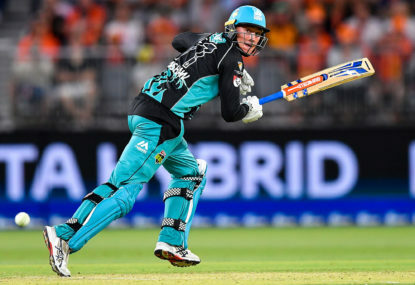 Defending champions the Adelaide Strikers host the table-topping Hobart Hurricanes in the 37th game of the Big Bash League this season. This match will be played at the Adelaide Oval and will begin at 7:15pm AEDT. You can follow it live with The Roar below. 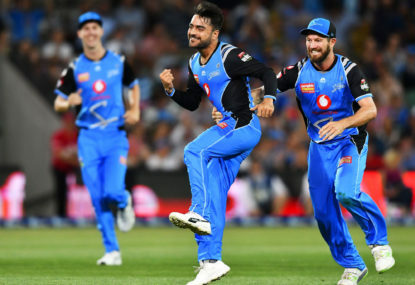 Match result: A 41-run win for the defending champions the Adelaide Strikers has taken them to eight points from four matches, and made them second on the table. 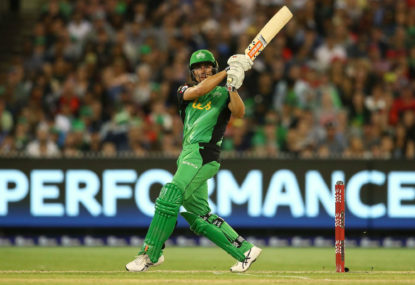 The Melbourne Stars take on the Perth Scorchers in the 25th game of the Big Bash League at the Melbourne Cricket Ground. Join The Roar for live scores and coverage from 7:15pm (AEDT). 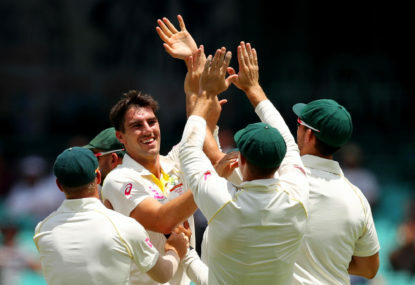 Match result: Delays due to rain and bad light have left Australia with ten wickets to hold onto tomorrow as they hope for a draw after India enforced a follow-on. 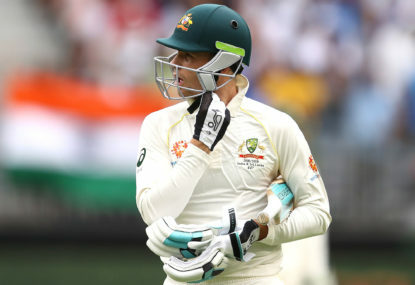 The fourth and the final Test of Australia and India’s series gets underway today at the Sydney Cricket Ground and with the series still alive. Day 1 will begin at 10:30am (AEDT) and you can follow it live right here on The Roar below. 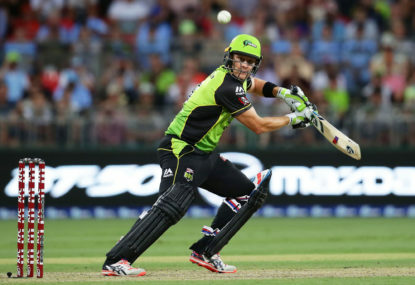 The Sydney Thunder will host the Perth Scorchers in the 17th game of the Big Bash League. Join The Roar for live scores and coverage from 7:15pm (AEDT). Hobart Hurricanes take on the Sydney Thunder in the 11th game of the Big Bash League this season, with the Bellerive Oval in Hobart to play hosts. The game will begin at 7:15pm local time and you can follow it live with The Roar below. 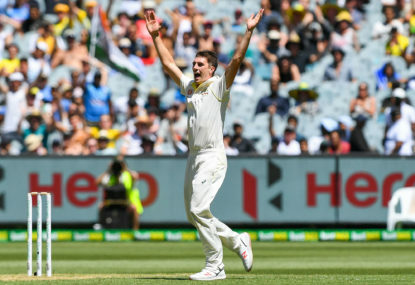 Day two of the third Australia versus India Test will continue on a lacklustre MCG pitch – but will the uneven bounce provide some respite to the bowlers when play resumes? The day will begin at 10:30am (AEDT) and you can follow it with live scores and a blog from The Roar below. 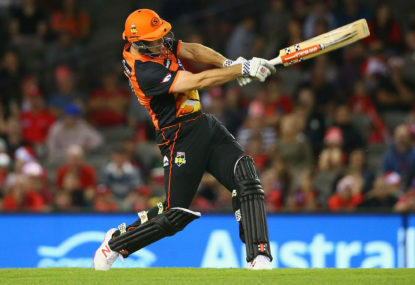 The Perth Scorchers will face the Adelaide Strikers in the ninth game of the Big Bash Lseason, with both teams having played two matches so far. Join The Roar for live scores and commentary from 7:45pm (AEDT). 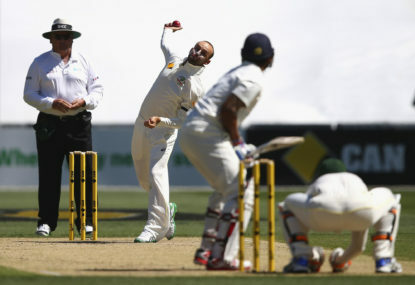 Australia will take on India in the third Test of the Border-Gavaskar series at the Melbourne Cricket Ground. 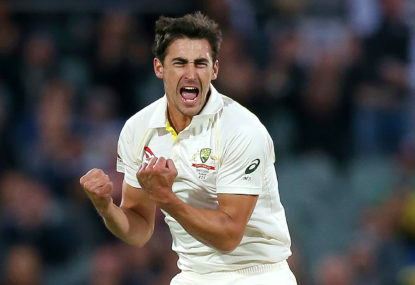 The Boxing Day Test will begin at 10:30am (AEDT), and you can follow it with live scores and a blog from The Roar below. 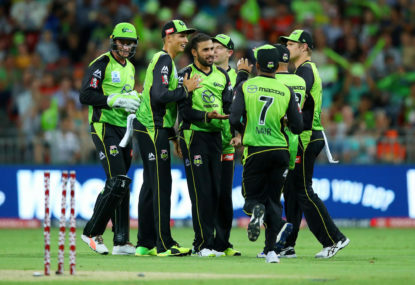 The Sydney derby will be the eighth game of the Big Bash League this season, with the Sydney Showground Stadium in Sydney to be the host of this encounter. The eighth match of the tournament will begin at 7:15pm AEDT and you can follow it live with The Roar below. 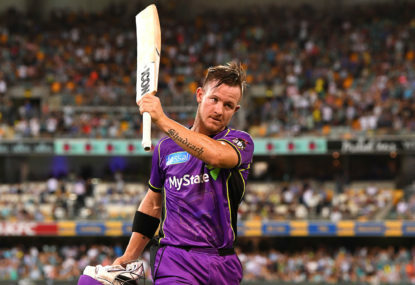 The Hobart Hurricanes will take on the Melbourne Stars in the seventh game of the Big Bash League this season, with both teams featuring in the second game of the tournament. The game will begin at 3:45pm AEDT and you can follow it live with The Roar below. 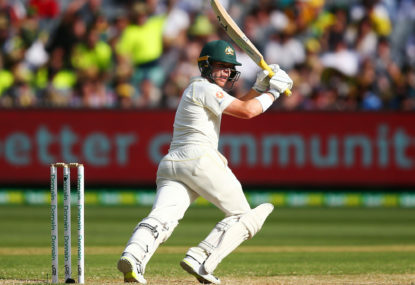 Day result: Australia hold the advantage at the end of the third day of the Test at Optus Stadium, leading India by 175 runs with six wickets still in hand. 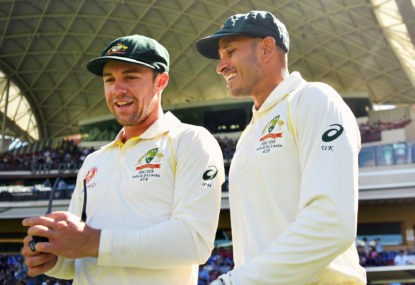 The much-awaited first Australia vs India Test of the summer starts today, with the teams set to battle it out on Day 1 at the Adelaide Oval. Join The Roar for live scores and commentary from 10:30am (AEDT). Good stuff Stan, look forward to more such articles. Think England also batted equally poorly in the first Test though. The conditions had some part to play there. Pakistan fielded horribly and at one stage it looked like they would be chasing more than 200. Then they fell to 2/2 in the first over but that didn’t stop Zaman from going after the bowling, and without offering any chances, he scored a 90. Sarfaraz Ahmed and Shoaib Malik played around him with the latter finishing unbeaten till the end to win it for Pakistan. The number on team in this format continue to dictate terms. Australia finish the series poorly after starting off brilliantly. Thanks for following this live blog and I hope to be back with Australia’s next series, which would be against this very team in the month of October. Ciao. That’s that, Pakistan have won by six wickets with four balls to spare! A single down the ground and then a pull to win it for the side. That’s some comeback from Pakistan after being in so much bother throughout the game. 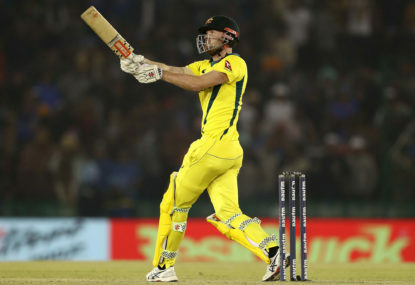 A first-ball four ends any hopes that Australia would have had of a comeback, and while Tye comes back well with just four singles from the next four balls, a couple of runs off the final ball makes it two needed from six balls. Just 11 more needed from 12 balls now. This should be over in a hurry. Quicker fourth ball from Richardson after the slower one previously and Malik pulls him straight to the deep square-leg fielder. Misfielded but remains one. A well-hit slap down the ground gets Asif a couple more before he nearly finishes it off with a six! A single for Malik gets him off strike before a slower one gets picked by Asif Ali and driven for a single. How much they needed that six. Shoaib Malik has cleared his front leg and dispatched Richardson over the leg-side for a maximum. What a start to the over. Couple of deliveries which he tries to glide and dab for singles before attempting a smashing shot, misses. Finally gets a single off the next ball to make it 29 needed from 20. One more for Malik before Asif goes for a swipe and misses again! Just two from the over. Asif Ali, a hard-hitting batsman but does he have the mindset to bat under pressure? Will soon know. That’s so much better from Richardson but also thanks to the fact that both these batsmen decided to take it slightly easy. Off the final ball, Zaman finally mis-hits his inside-out cut over point, straight to the deep fielder and is caught. Gone for 91 off 46. Zaman’s modus operandi is very simple. Give himself room to smash them when he’s not hoicking them straight down the ground. The Stoinis over was going well though with just four singles from the first four balls but then two such shots result in two fours off slower ones. The second boundary, off a misfield too. Stanlake is on but the runs continue to flow. For a couple of balls, they look to be getting away with just two singles but then Zaman slaps it over point for another six! Couple of dots, however, to finish the over. 3/136 in 14. Need just 48 from six. 48 runs have come from the last three overs. That’s turned the game on its head, so much so Pakistan look very heavy favourites here now. …and then gets smashed for another four off the next. It’s Zaman, who else? An outside edge with the short third-man fielder inside the circle and then a hoick over the short fine-leg fielder too. Gets a single to get off strike but Malik makes it the third four of the over to make it 13 from the over. Couple of singles towards the end which means 15 have come off it. Whoa, six to get to his 50! Zaman has been so, so good in this tri-series and what makes it more impressive is that he’s got all those runs despite being so attacking. Agar comes on and gets deposited into the stands for a six to get to his fifty. And then jumps down the pitch to hit him straight down the ground for a four more. Continues that slapping by standing outside the leg-stump and bangs him down again! This is such brilliant batting, so good to watch. 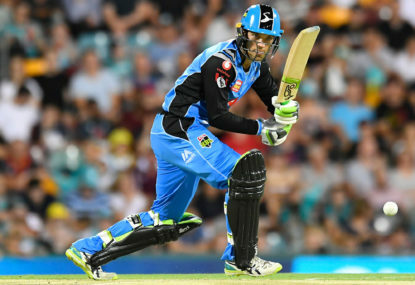 The decision to bowl Wildermuth before Ashton Agar is slightly surprising but with Zaman in the kind of form he is in, there’s always that fear of getting tonked around. But Wildermuth, in his first series, feels a lot of pressure and ends up bowling four wides, including three outside the off. That comes in conjunction with both batsmen hitting one four apiece, making it 16 from the over. A rare misfield from Jack Wildermuth at extra-cover off the final ball allows the batsmen to come back for the second run but Stanlake has done well to control them to five runs. 3/79 in 10. 105 needed from 10. Glenn Maxwell has come back into the attack and conceded seven from his first five balls and then gets pulled across the line for a four by Zaman. 11 off it, which keeps Pakistan in the hunt. An over that Pakistan so needed. Before this, they just had had that over of 21 but off the remaining six overs they had made just 28 runs. Here they have chipped in with another 14 runs. …Zaman smashes Stoinis over the long-on fence for a six and then flicks him behind square for a four. Much needed. Brilliant over from Richardson after having picked up a run-out last over. Just a single off it as Shoaib Malik struggles to get off the mark, having faced six balls for no runs so far. What had started out as a first-ball four, ends with just seven from the over and a run-out. Andrew Tye was in his first over there. It was such a brilliant effort all round. Sarfaraz tries to ramp it over fine-leg and ends up getting it over the short fielder. Gets well-chased by Richardson, and pulled back, and looked like an easy two. But Zaman wants to come back for the third and while he makes the crease comfortably, the throw at the non-striker finds Sarfaraz short. Despite a boundary in that over, turns out to be a good over for Australia and Richardson. Sarfaraz tried upper cutting and hitting him inside out on four occasions and missed all of them. It was only off the fifth ball he managed that boundary before tucking one away to make it five from the over.